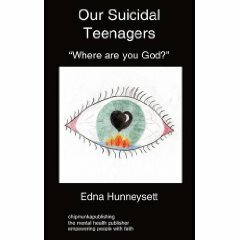 This book is about the way in which the idea of madness still haunts people’s imagination, and the way in which this is reflected in the experience of those diagnosed as psychiatrically ill. 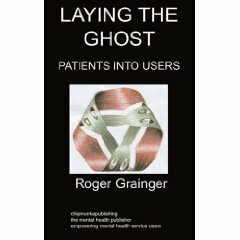 It is also about the difference between the old system of psychiatric containment and the present ‘community’ approach which deals with ‘users of the psychiatric services’ – in other words, User Groups – as this is seen from the perspective of those involved in both of these approaches. The result is a book which has much to say about social exclusion and the experience of stigma. It sets out to examine how this important social change, from ‘patient’ to ‘user’ affects those most intimately concerned. It puts the ‘user’ point of view in a positive way, allowing those within the community to speak for themselves. It also has something to say about the similarity which exists between incarceration within an institution and confinement to a special section of society as a whole. ‘The symbol gives rise to thought.’ Paul Ricoeur begins a famous essay with this well known saying. He goes on: a philosophy instructed by myths arises at a certain point in reflection, and, beyond philosophical reflection, it wishes to answer to a certain situation of modern culture. In the first part of this study the principle symbol is not mental illness – a vague concept if ever there was one – but the asylum which even today stands starkly at the edge of the town, its symbolism in no way impaired, or even clouded, by being deprived of any actual patients, and the “certain situation of modern culture” is our current inability to think in any coherent way about the reality of madness while striving as hard as we can to imprison it within the logic of language. By concentrating on the kinds of ideas, feelings and behaviours which the images associated with mental illness arouse, both in those considered to be suffering from it and those – the majority of people – who do not see themselves in such a way, the pressures of having to conform to the search for scientific objectivity are able to be avoided in a way which is not open to other books about mental illness; not if they wish to be taken seriously nowadays, that is. Instead, in one way or another, it keeps returning to the symbols which, over the millennia, have given rise to successive scientific – or pseudo scientific – interpretation, what Ricoeur refers to as “the fundamental symbols of consciousness”. The presence of the old hospital dominated everything recorded here. For many, if not all the ‘users of psychiatric services’ (as psychiatric patients are called at the time of writing) the symbolism has been an organising factor in the way in which they regarded the world they found themselves living in for a very long time. Almost as long as they can remember, the local psychiatric hospital has been held up as an exceedingly dangerous reality, a dominating presence within their own situation, something used to measure all other kinds of fear against. More than this, it actually existed, you could see it standing there and people went in and out of it. Or rather, they went into it.